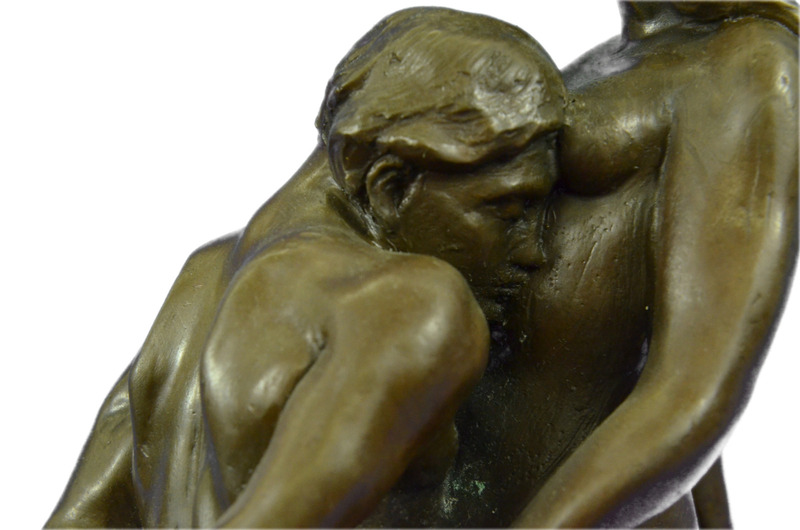 This Is A Bronze Rendition Of The French Sculptor Auguste Rodin'S,"Eternal Idol" (1889). This Is Masterful Sculpture Honoring The Love Between Two Souls. It Shows The Carnal Embrace Of The Body That Owns The Beloved Soul Of All You Love, Of The One You Idol, Above All Else Like A Deity, Ceaselessly. 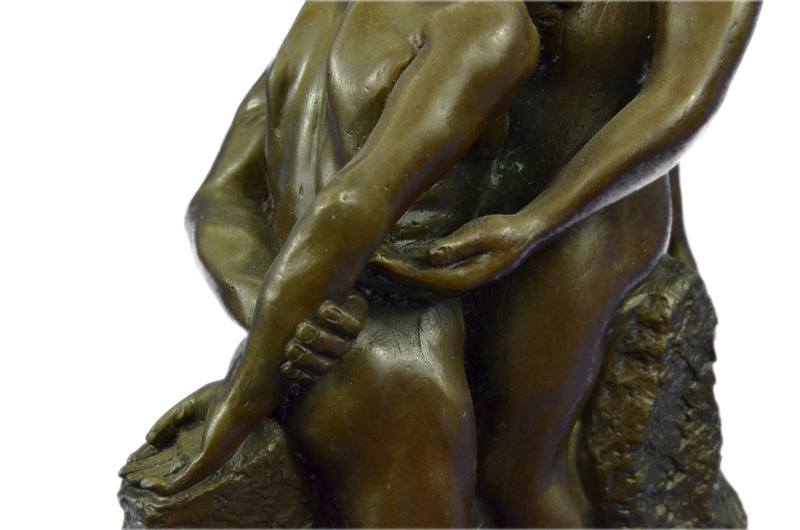 It Is Well Known That His Clandestine Lover, As Well As His Fellow Famous Sculptor-Colleague, Camille Claudel, Was Often A Source Of Inspiration And Model Behind His Works Of Art. 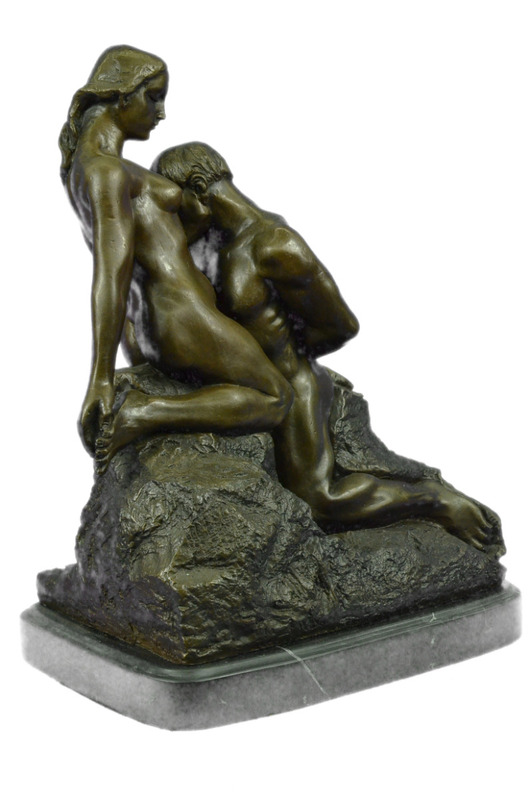 To Best Describe The Emotion Evoked Through This Piece, It Is Best To Let The Artist Words Speak,"My Very Dearest Down On Both Knees Before Your Beautiful Body Which I Embrace.” - Letter From Rodin To Camille Claudel (1844). The Writer Rainer Maria Rilke Wrote The Following About The Eternal Idol: "Always The Same Enchanting Strength. You Dare Not Assign A Single Meaning To It (As Is So Often The Case With Rodin). It Has Thousands Of Meanings. This Mastery Was Cast Using The Antiquated Technique Of Lost-Wax Casting And Stained With A Brown Patina Finish. 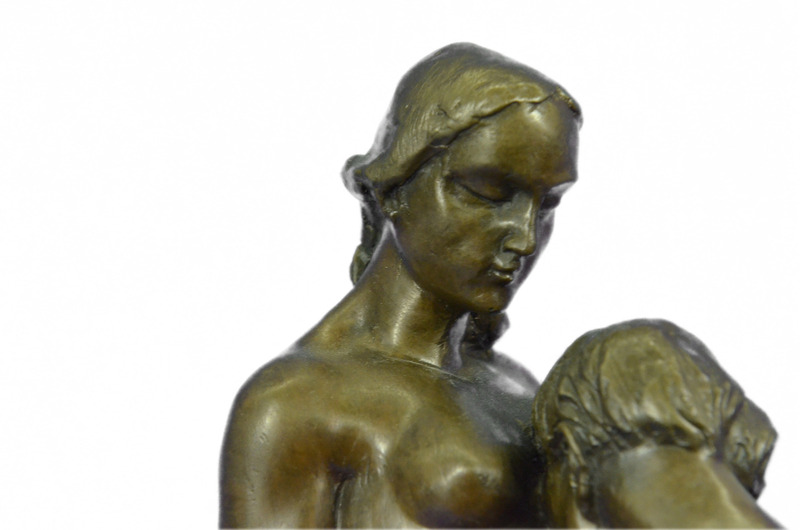 This Heart-Piercing Sculpture Is Mounted Upon A Black Marble Base With The Artist Auguste Rodin'S Signature.